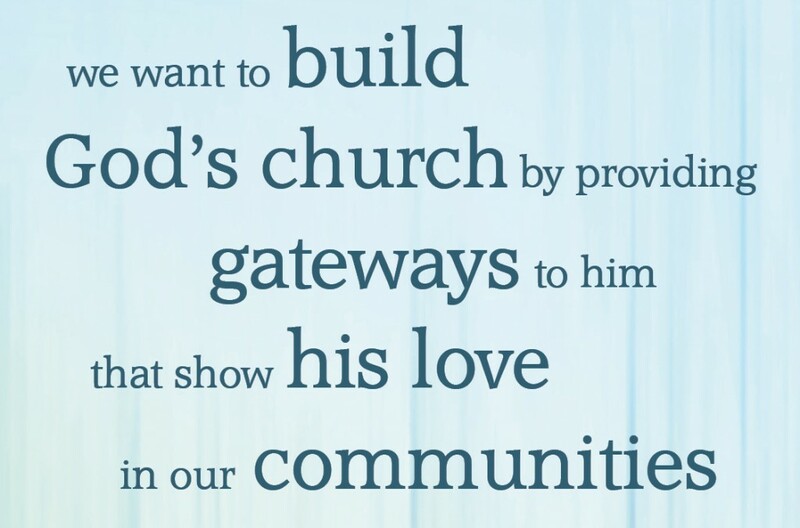 This vision is inspirational – motivating us to move forward and “build God’s church”; it is directional – talking about Gateways, communities and showing God’s love; and it is unifying – the whole church will be involved in it. This course aims to encourage and help each individual to find their own part in this vision. Gateways always lead somewhere, this is their purpose. Wildwood Church’s purpose as a gateway is to lead people to knowing Jesus. We want to increase this work in the future, not just letting people know about God but enabling them to come into a personal relationship with Him, and become part of His kingdom, His church. This is our part in building his church. We believe our vision should not be set in stone, so this vision has developed over the past few years and may well change again in the future, as God speaks to us and guides us.